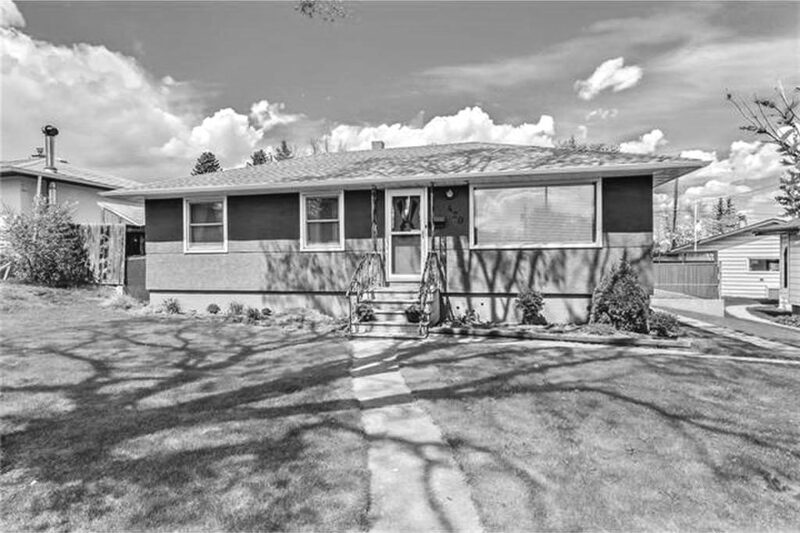 There is a place in the heart of many Calgarians for the ubiquitous 50s bungalow, the housing type prevalent across most of the (now) inner city established communities, "remarkably well suited to the prairie landscape", with its strong horizontal lines, large picture windows and functional open plans that "spoke to the modernist outlook of postwar couples" living and raising families in a thriving Alberta. 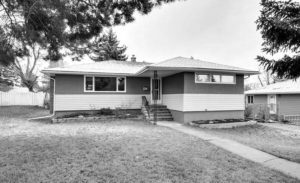 At IDeAr, we believe there is great opportunity in giving these prototypical residential structures a second, much improved life, better suited to the demands of our time, while preserving the best of their original features. 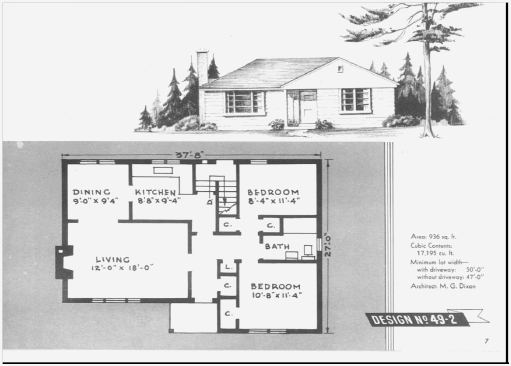 The simple yet appealing, efficient and tried-and-true design of the mid-century bungalow, coupled with its siting on -to today's standards- generous lots and often desirable location, places this kind of properties at an advantageous starting point when considering a building upgrade or redevelopment. 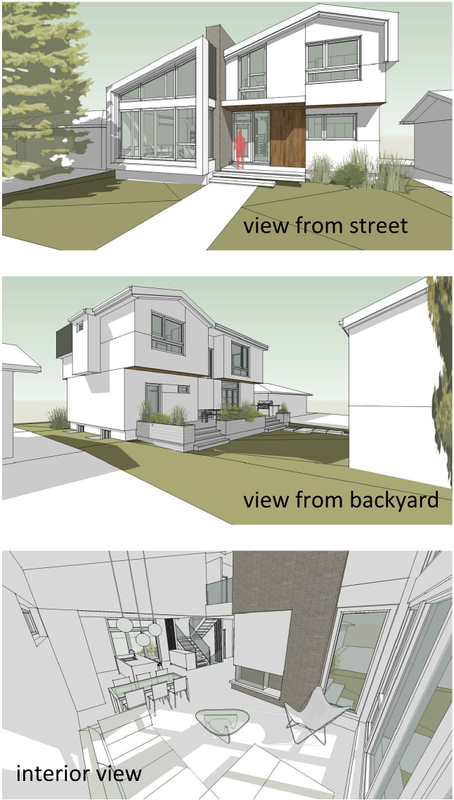 Always driven by the principles set forth by the Passive House standard for energy efficiency, comfort and quality construction, and subject to the owner's expressed requirements and budget in each particular case, different scales of refurbishment could be determined to guide the project, from simple improvements to the building enclosure and minor interior alterations, to a deep envelope and systems retrofit, complete overhaul of the floor plan and additions in one or more levels. 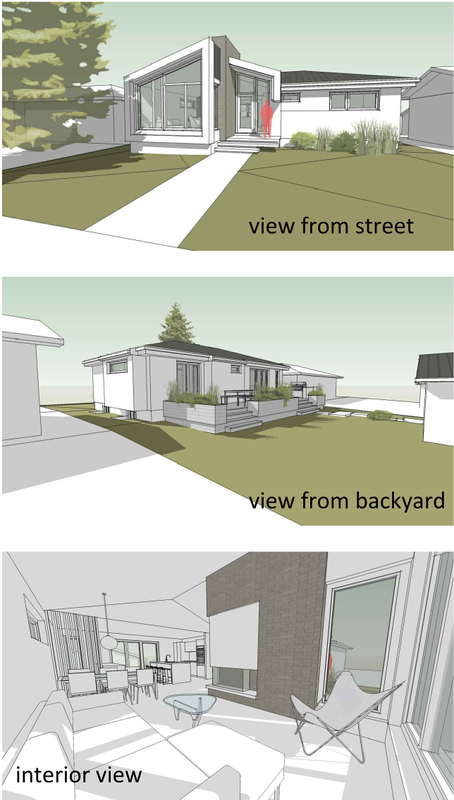 Here below you can find images of a hypothetical case study illustrating possible outcomes from interventions of increasing extent (options 1, 2a & 2b), on a typical Calgary's three bedroom mid-century bungalow of approximately 912 sq ft, with a full basement, on a 52' x 110' lot, its front predominantly south facing and with a 22' x 22' detached garage accessed from the rear lane. 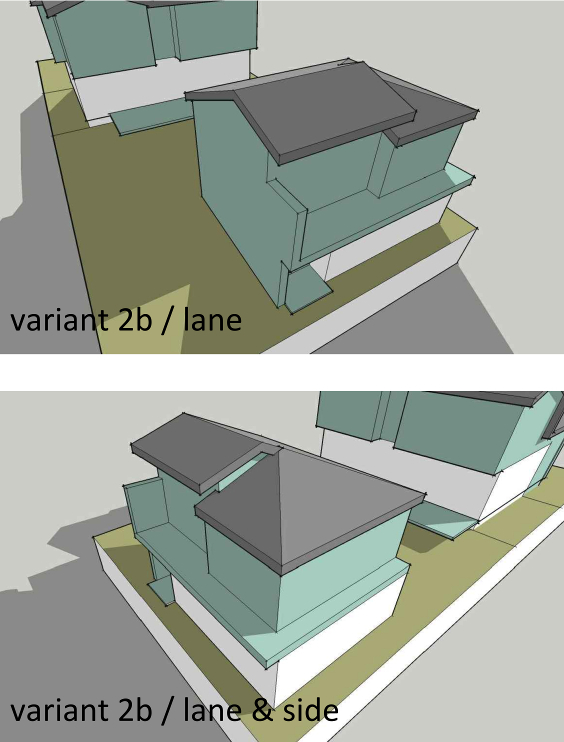 In both options, the building envelope (walls, roof, basement slab) is improved by significantly raising the level of insulation and airtightness, carefully eliminating thermal bridges as much as possible and installing high performance triple pane windows, while the interior is provided with an adequately sized ventilation system with heat recovery, in conjunction with the adjustment/modification of the mechanical systems geared towards drastically reducing energy use. The basement foundation and big part of the main floor and roof structures are preserved and reinforced as needed. 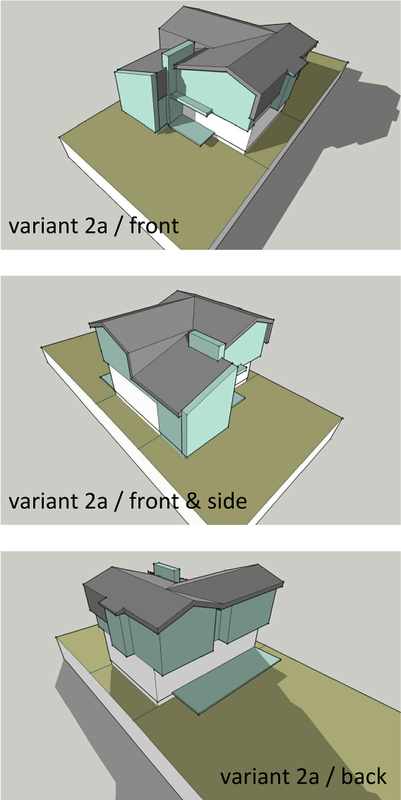 Crucial for the success of the project and underlying to our process is an integrated approach to design that relies upon every member of the team, from owner and architect, to consultants and builder/contractor, sharing a vision of sustainability and working collaboratively to implement energy efficiency goals, right from the early stages and throughout construction. 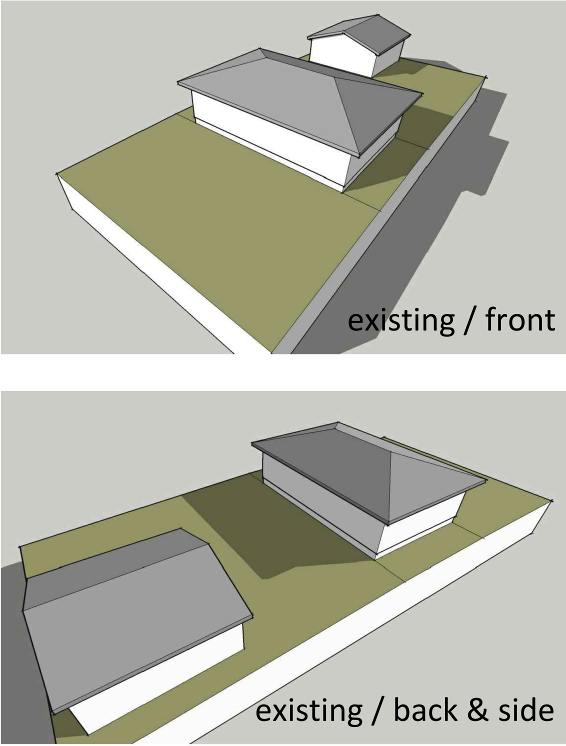 A 12' x 12' addition on shallow foundation at the front, plus two 2' x 9' cantilevered projections to the side and rear; changes to the interior layout (open plan living / dining / kitchen + master bedroom with ensuite added) and ample back deck; a cathedral ceiling over the addition follows the original roof line. 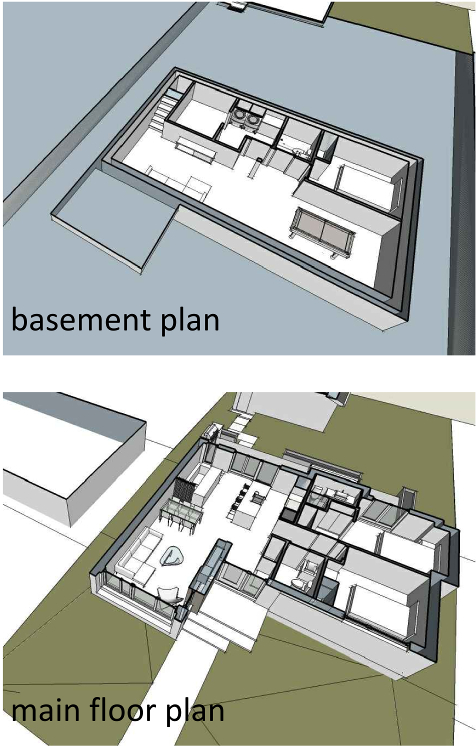 The basement accommodates a tv / rec room, a guestroom, a full bathroom, laundry & mechanical rooms. 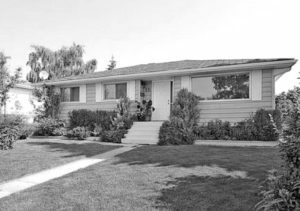 A 15' x 12' addition on shallow foundation at the front, changes to the first level interior layout (open plan living / dining / kitchen + study / guestroom + powder room + mudroom / laundry) and ample back deck, plus a second floor added over 70% of the original main floor and including a bonus / tv room in mezzanine, 2 bedrooms, 1 full bathroom and master bedroom with WIC and ensuite. 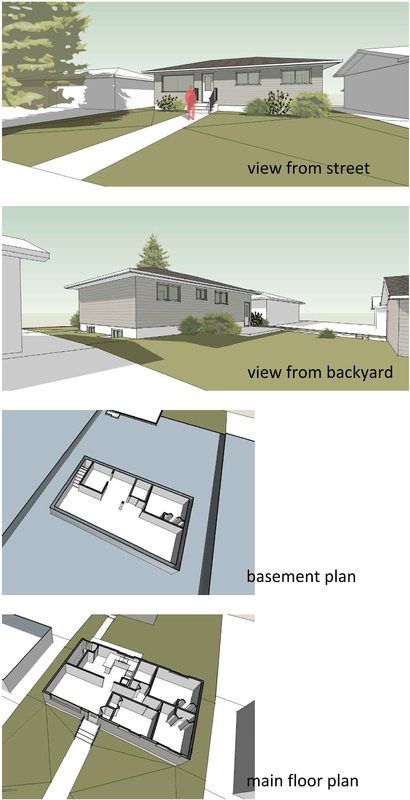 The basement accommodates a large tv/rec-room, a guestroom, a full bathroom and mechanical room. 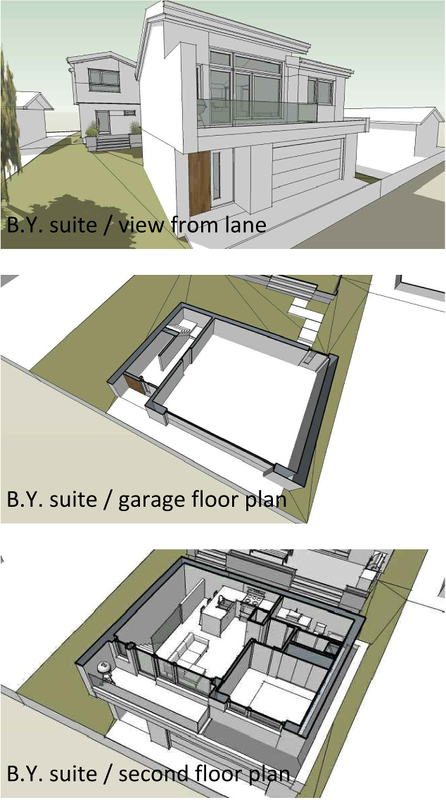 If allowed by the specific zoning bylaw, the option of adding a one bedroom backyard suite ('carriage house') over the existing garage -reinforced as required- could be explored.